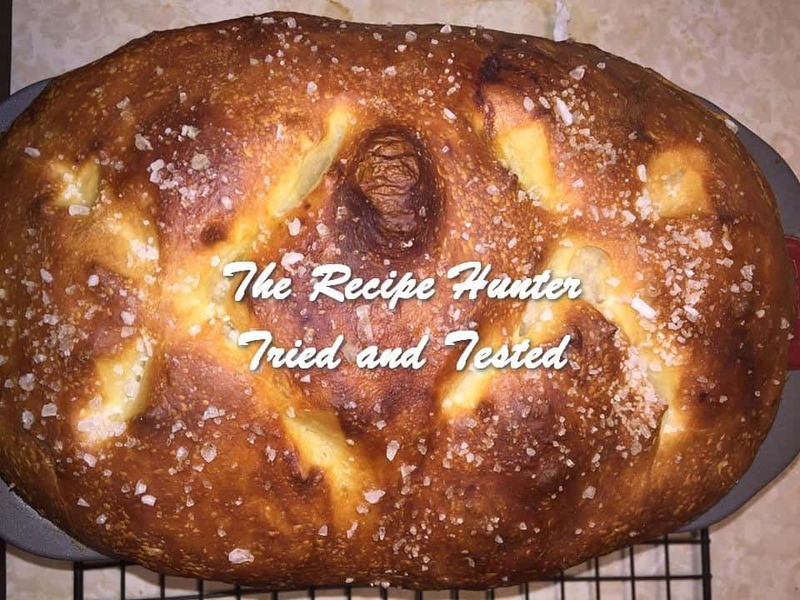 You have to try this Homemade Pretzel Bread! You will win many ♥ ♥ ♥ and make this over and over again. Heat milk in the microwave for 2 to 3 minutes in 30 second intervals. Carefully test it to see if its too hot, if its to hot to the touch its too hot for the yeast. Add water, brown sugar, oil, and dry active yeast. Let it bloom for 10 to 15 minutes, until its foamy on top and yeasty smelling. While the yeast is blooming combine bread flour, all purpose flour and fine sea salt. Add yeast mixture to the flour. Knead with a spoon for 5 minutes (if using a stand mixer skip this step). Cover and let it double for at least 1 1/2 hour. After its finish proofing, divide into two sections. Place in loaf pans then cover again, placing them in the refrigerator overnight or at least 12 hours to develop a skin on the dough and proof slower. Bring 4 to 5 cups of water to boil. Add baking soda and dark brown sugar to the water. Dip one loaf at a time in the solution for 60 seconds. Pull from solution, reshape them and place back into loaf pan. Let proof for 30 minutes to 1 hour. Slit the top with a sharp knife or kitchen shears and brush to tops with oil. Sprinkle top with course sea salt. Rotating after 15 minutes then bake for another 10 minutes. Take loaves out of pans, flip over and baking for another 5 minutes.